A name is destiny…Or is it? Young Vicky is reeling from the loss of her old horse Joe, but eager to help the flighty, impossible to ride young mare, Witch. Unpredictable and dangerous, Witch’s future is bleak. 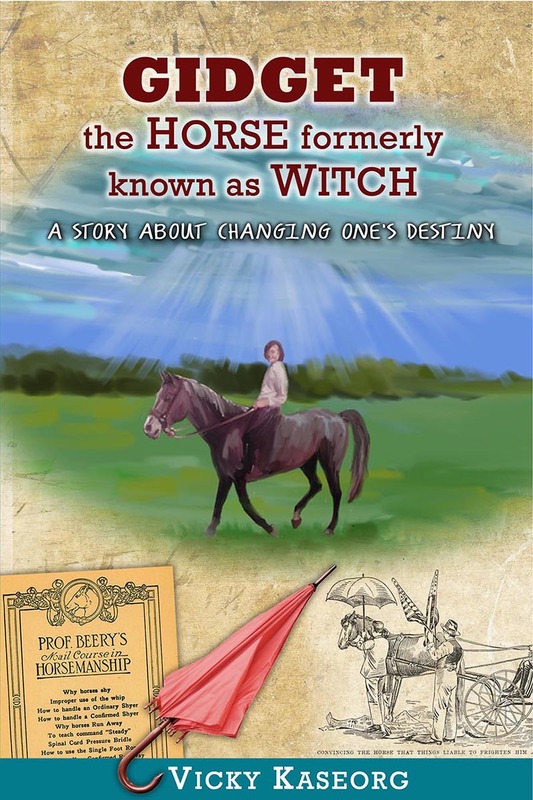 In her first moment with the horse no one trusted, Vicky changed Witch’s name to Gidget, a hopeful benediction. “If only changing her name is all it took to change behavior,” the farm owner laments. Despite her new name, Gidget, the horse formerly known as Witch, struggles to abandon old, unstable habits. Along the way, the fearful horse captures the heart of a grieving child, and miracles of healing unfold to a remarkable conclusion. A story about changing one’s destiny.